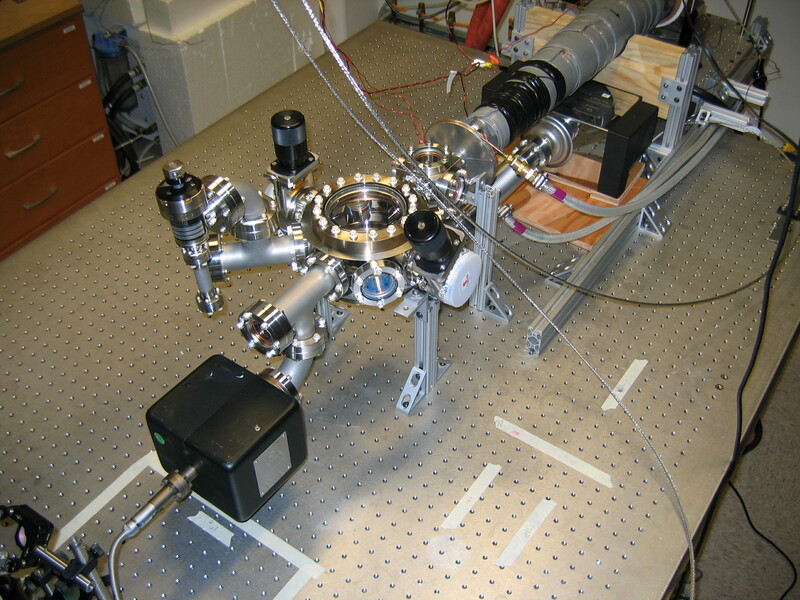 We are investigating an optical pumping setup in the linear magnetic guide, which transfers atoms from the |F=1, mF=-1> to the |F=2, mF=-2> state. To do so, we have two repumpers located at the middle of the guide. One is tuned to the F=1-->F'=0 transition, and the other is tuned to the F=1-->F'=2, hence the labels R10 and R12 respectively. 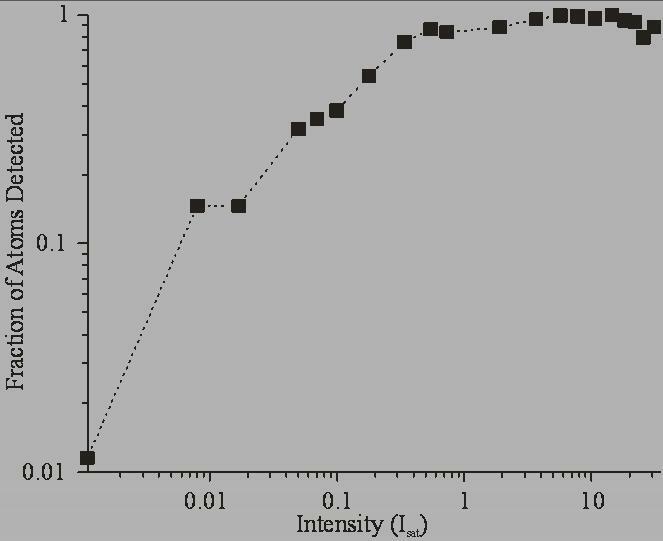 We see a strong, nonlinear effect on the atoms detected at the end of the guide when both repumpers are active. Recently we have been studying Rydberg atoms in the linear magnetic guide. We observe Penning ionization, thermal ionization, and guiding of the Rydberg atoms. 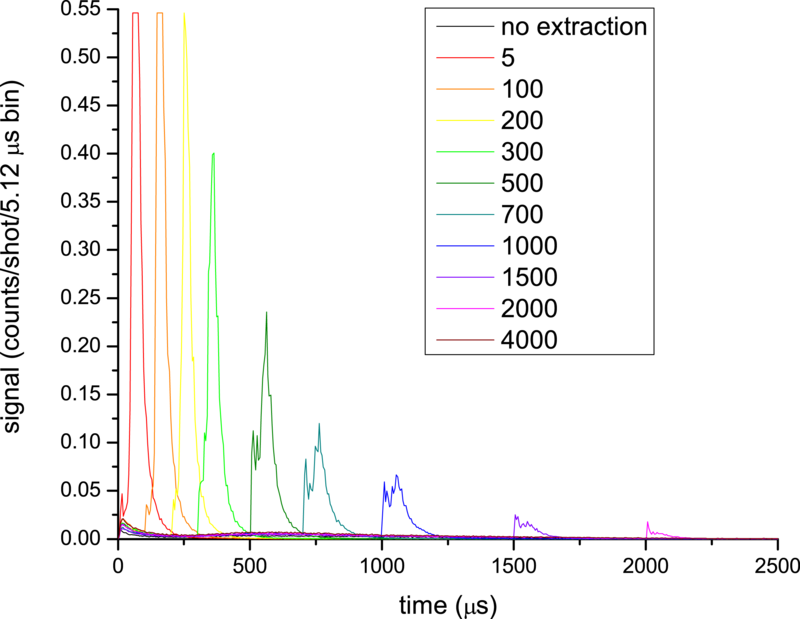 By varying the delay time between excitation to 59D and when the extraction field is applied, we can see that there is still signal out past 4 milliseconds. In the pictures, the red line indicates the position of immediate extraction. As the delay increases, the signal from field ionization (a bar transverse to the guiding direction) moves further from this initial position. 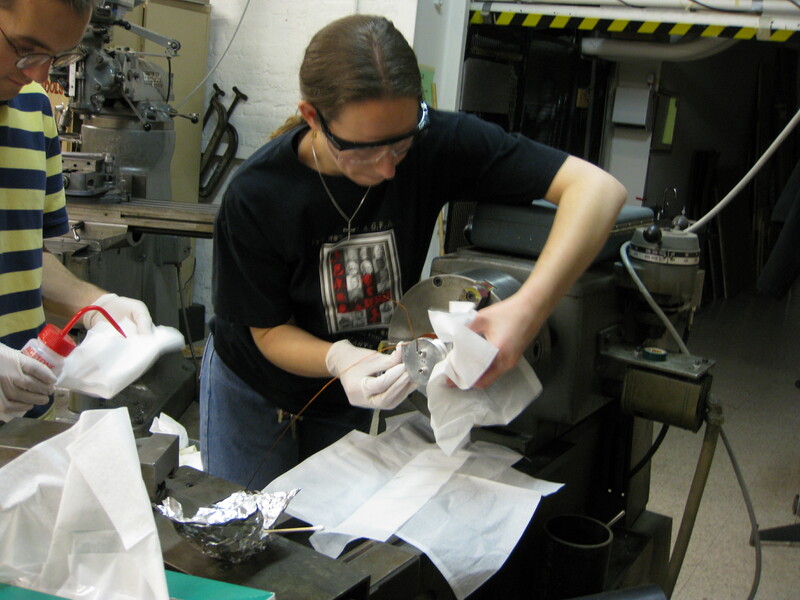 Throughout mid-January, gluing of silicon pieces has been taking place. 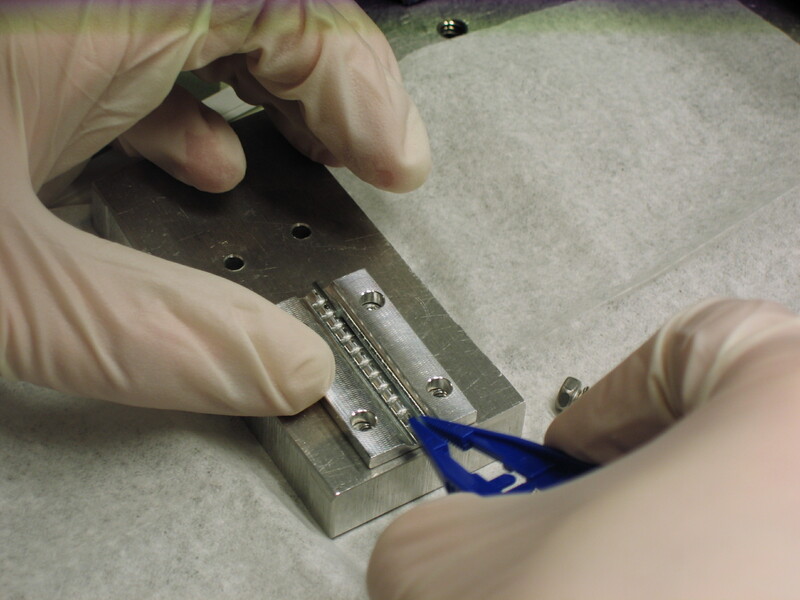 The silicon sits in between the guide wires periodically throughout the length of the guide, and will facilitate surface adsorption evaporative cooling. Each piece has to be glued and baked to cure the glue individually. For a sense of scale, the aluminum piece is 1.5" long and 0.85" wide. 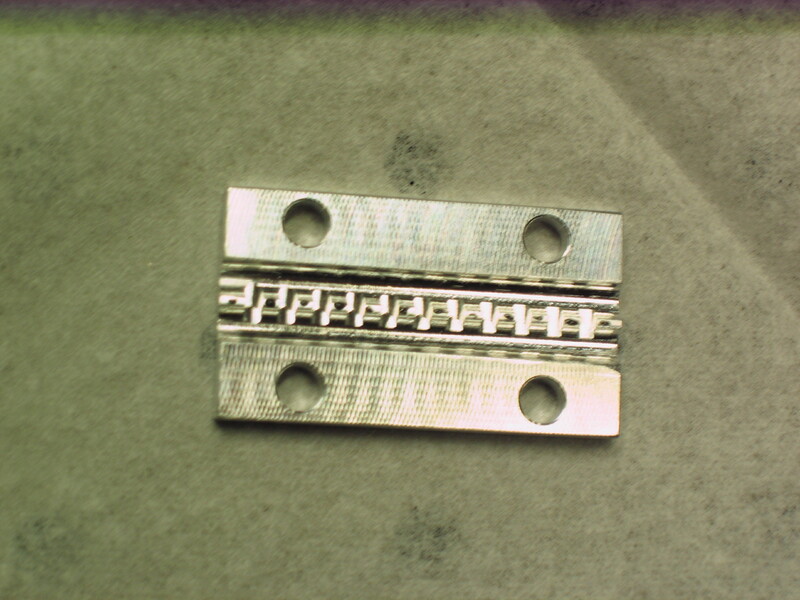 The silicon (darker strip in the middle) is 0.033" wide. 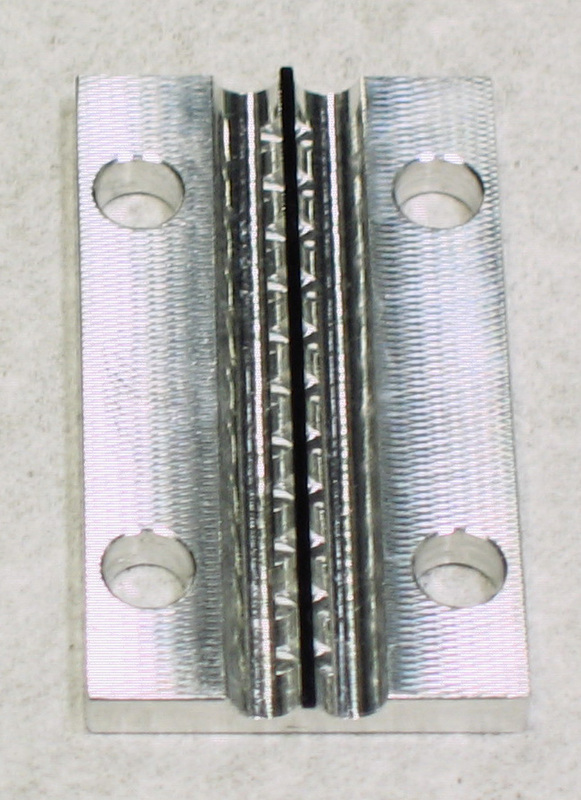 The glue is scratched on with the tip of a thumb tack to minimize excess, as shown below. 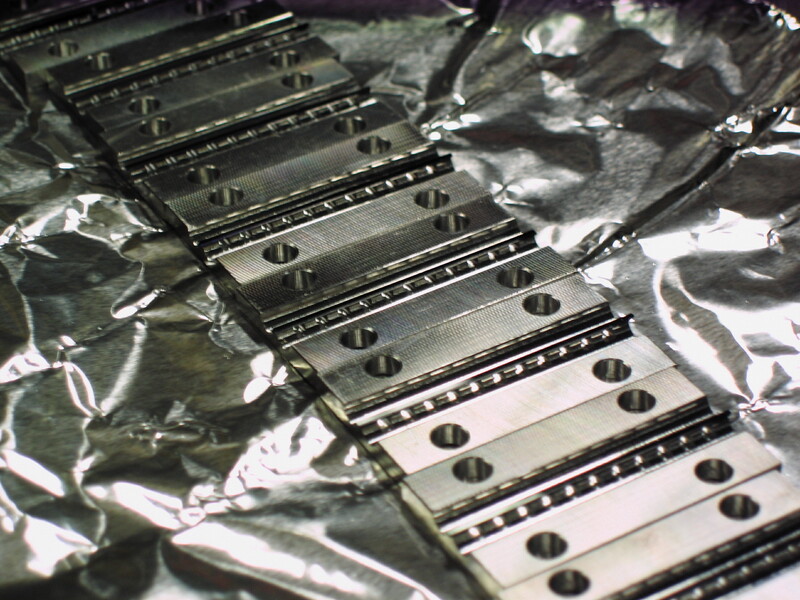 A pressure plate is applied during the curing process to ensure uniformity between the different pieces. On November 6 Mallory and Steven wrapped the first of the racetrack shaped coils that will make the magnetic field for the secondary MOT, and Jens Zorn took a few pictures. 30 October 2009: This is the first MOT in the new setup. It is big enough to be visible with naked eye. We assembled the MOT section of the new setup August 10. In the top-down view, the bottom gate valve leads to the new atom guide. The top gate valve leads to another experiment. Both will share the MOT, with a pusher beam from either side depending on which is currently running. 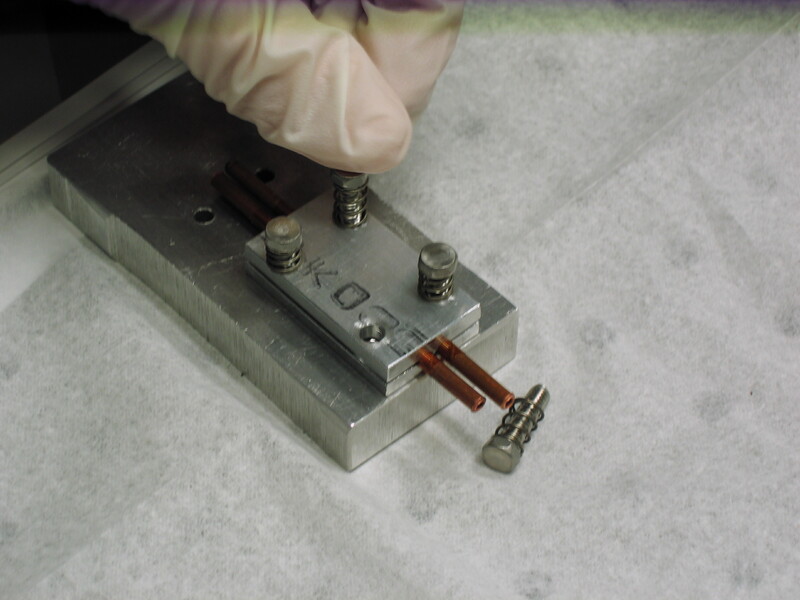 The metal valve on the left side of the picture contains a small rubidium source for testing the MOT, without the necessity of using the Zeeman slower. The entire Raithel group attended DAMOP at University of Virginia (May 20-23, 2009). 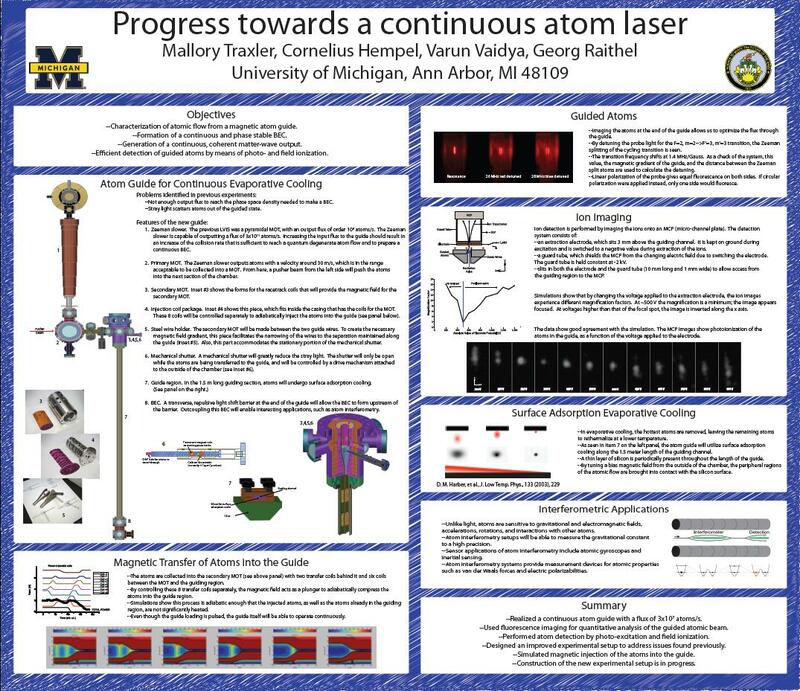 Here is the poster that Mallory presented at the conference. Though it isn't really data, here is a picture of our guided atoms. This was taken 19 March 2009. 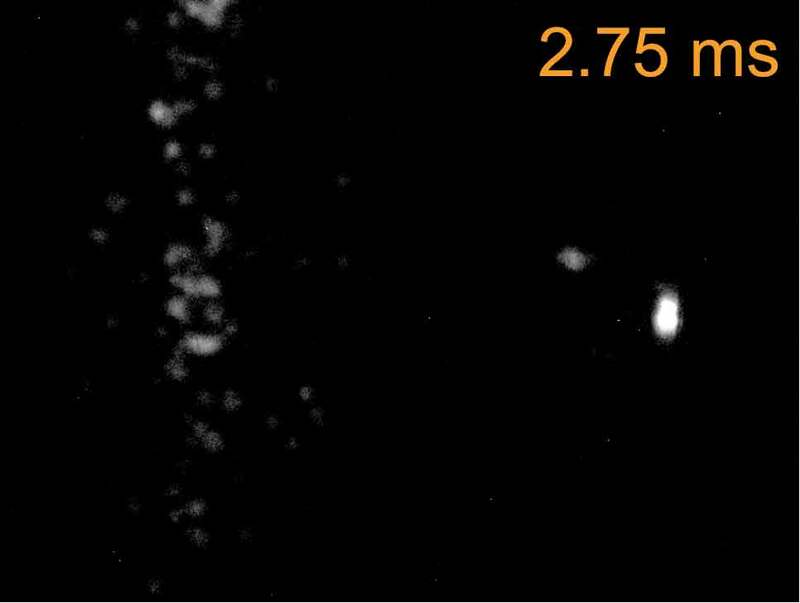 Imaging in pulsed mode gives a stream of atoms, which can be seen in the middle of the picture. We use the number of atoms at the end of the guide to optimize the system when we take data. 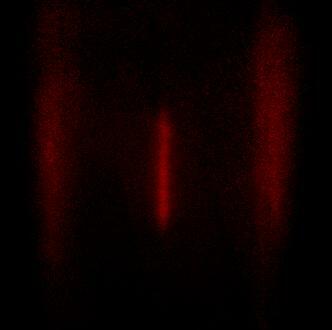 Laser-excited Rydberg atoms in the magnetic guide imaged on a MCP at various field ionization delays. 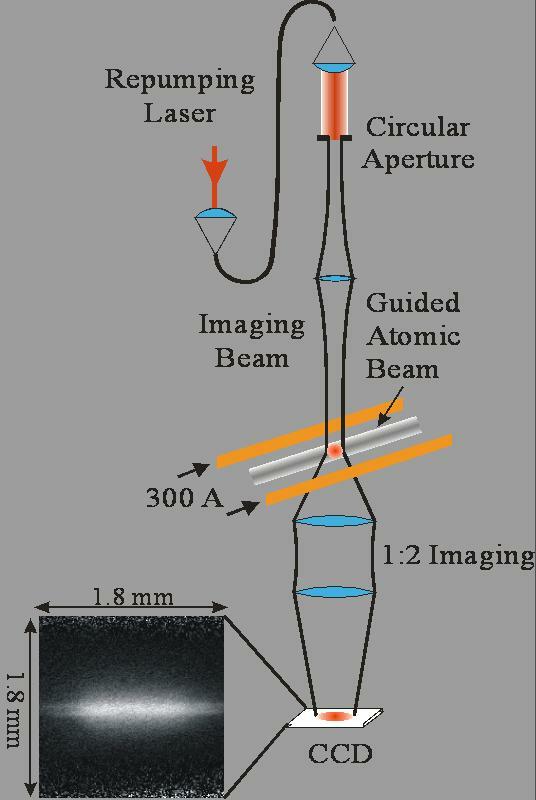 The fluorescence imaging setup is diagramed below. 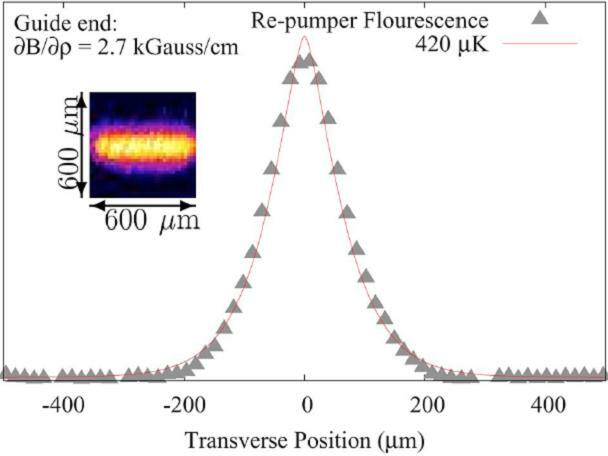 A top-hat probe intensity distribution is obtained by using an imaging iris with a circular aperture centered on the gaussian beam. The imaging beam is strobed such that it is on for 20 microseconds and off for 1 millisecond. 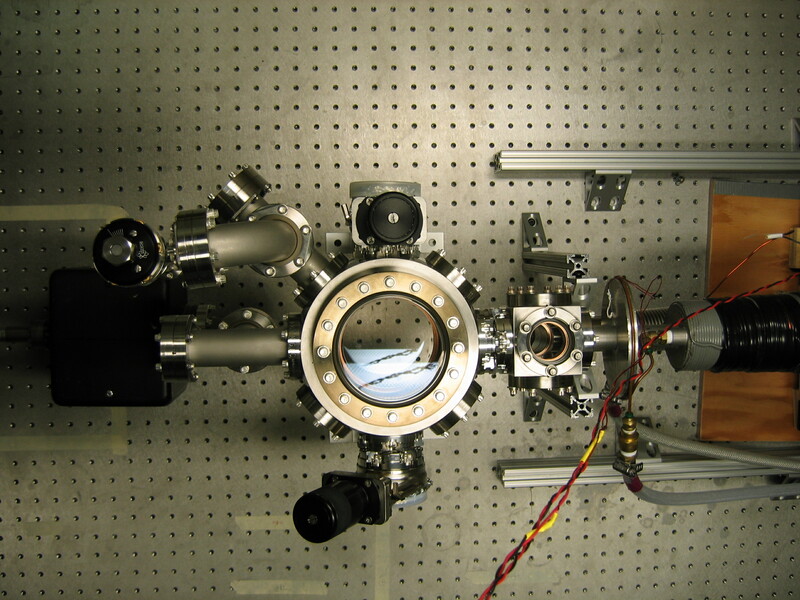 The conventional detection method involves optically pumping atoms into a state that is accessible with a closed-channel transition. In Rubidium 87, this means pumping the atoms from the 5S1/2F=2 to 5P3/2F'=3. 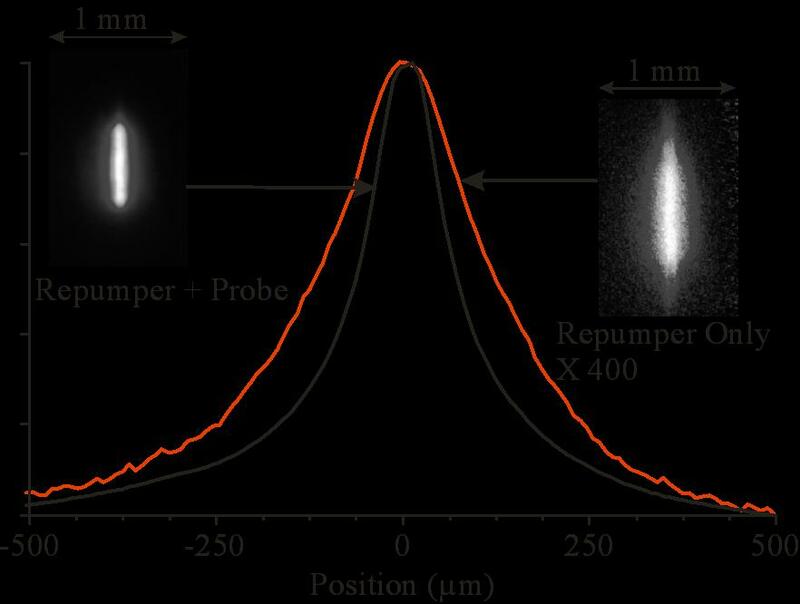 A laser tuned to the closed-channel transition can then act as a probe, and the fluorescence can be measured with a PMT. 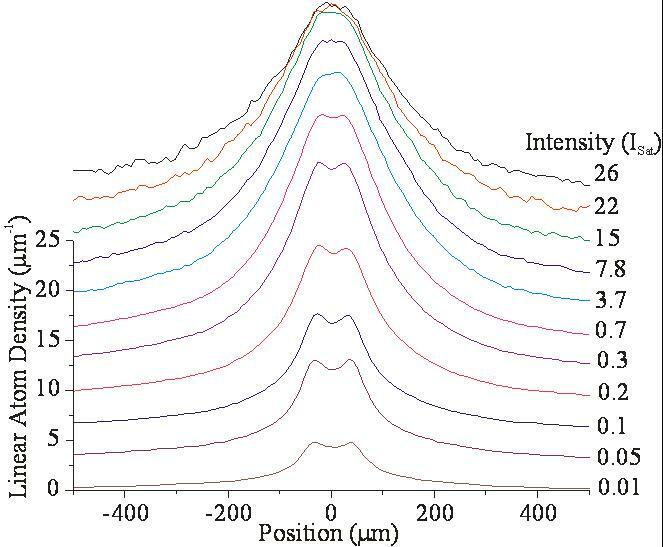 However, there are drawbacks to imaging with a closed-channel probe: The photon yield per atom is not constant throughout the trap, and complicated analysis is required to extract the atomic distribution. 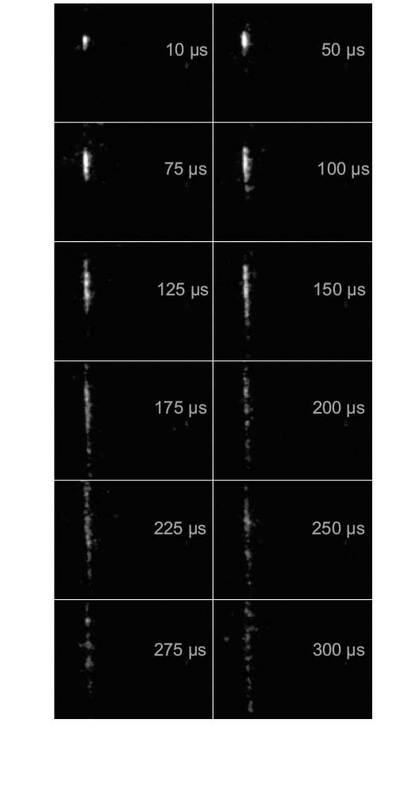 Therefore, imaging with an open-channel probe has been utilized. In an open-channel scheme, the atoms scatter a constant number of photons throughout the trap at a rate greater than (photons/atom)/(proble ON time). 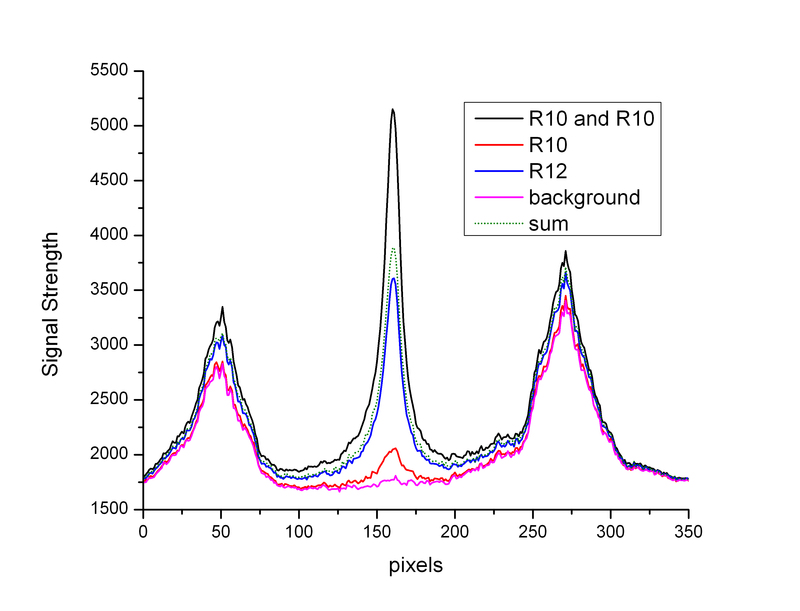 The images are easily mapped to atomic distributions. Below is a comparison of the data taken by each method, and the open-channel profile is clearly broader than the closed-channel profile. Experimental results show that the signal aturates at ~5 Isat and remains constant beyond that point. 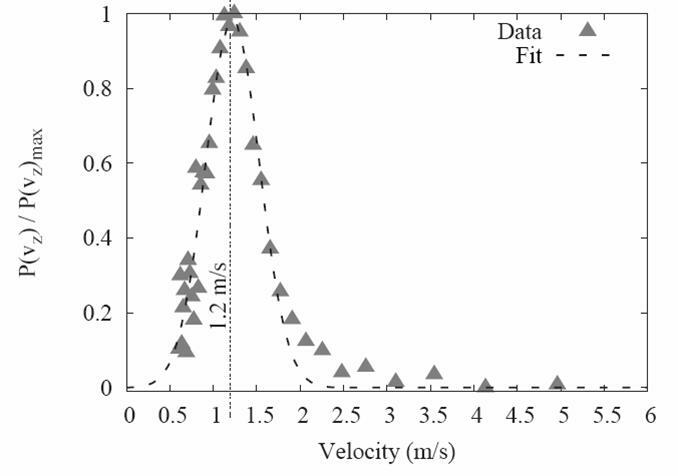 At low intensities, two peaks are visible; the signal deteriorates at high intensity. A measurement of longitudinal temperature has been done using a Time of Flight method. With a flux of 2.3x107 s-1, the fit gives a temperature of Tparallel=1mK.